Before we get to the Labour Party’s attempt to ruin Britain, overnight news confirmed yesterday’s Capital & Conflict. But in an interesting way. Finance Minister Giovanni Tria didn’t just bow to Lega and Five Star demands. He bowed out of the limelight altogether. Instead of the finance minister making the budget announcement, the two deputy prime ministers did in a joint statement. “The assumption under which capital markets were operating until today, the idea that Tria can rein in the animal spirits of this government, has faded away,” said Francesco Galietti, the founder of Policy Sonar, a Rome-based consultancy. I think this signals the imminent resignation of the Italian finance minister. If he can’t even announce his own policies any more, what’s the point? The real question is what happens next. After all, there’s a damn good reason why Tria was pushing for a deficit under 2%. Peter Ceretti, an Italy analyst at the Economist Intelligence Unit, said in a note earlier on Thursday that in the event of a deficit target much larger than 2% “there will be a more significant dust-up with the EU”. The Guardian also reminds us, as I pointed out yesterday, that the target deficit is not the budget. The budget itself could dramatically increase the expected deficit once the detailed policies are factored in. A target of 2.4% was within the 3% EU debt limit, but it could go higher as the budget goes through parliament. If Lega and Five Star’s leaders have wrestled control from Tria, a mushroom is more than likely. The question is how poisonous it will prove. Will the EU approve the budget? Will the market agree to fund it? Will the ratings agencies go along with the charade of respectability? Things are eerily calm for now. The Italian government even managed to raise a whopping amount of debt at low interest rates yesterday. But with €35 billion more to be raised by year end, and quantitative easing only picking up about €2 billion a month according to Unicredit, there’s not much room to manoeuvre. Corbynomics – a crisis or in crisis? Who’d you rather? Jeremy Corbyn or the EU? It’s not meant as a practical question. And don’t weasel your way out of it by pointing out that at least we can fire Corbyn. I’m talking government policy. Whose policies would you rather have in Britain? The EU’s or Labour’s? It’s not hard to shoot down the economic policies of Corbyn. And he’s having a hard time managing his image lately too. Just consider his latest trip. He was reportedly unable to pay for his cab in Brussels – the sort of spending scandal that only a socialist could pull off. And he used the failing government run train signals system as an example of the failure of privatisation. Both of those are metaphors for the deeper problems with Jeremy’s ideology. Paying for policies and providing a cure that’s worse than the disease. But what’s bonkers is the support he’s getting for absolutely wild policy. Not electoral support. But support in the Labour Party for an election losing pitch. A People’s Railway? Nationalisation? A slew of policies that aren’t possible inside the EU. Someone even proposed a general strike to get the Tories out of power. I don’t think Theresa May could’ve written a better Labour manifesto for herself. I’ve never understood the moderate socialist’s policy no man’s land. Why subsidise people’s childcare instead of just providing it altogether? Surely they can find some academic who sees childcare as a human right? Why not give entire companies to their workers instead of just 10%? Why not have unions run the businesses themselves? If unions are good, why not unionise all of us? If the Scandinavian socialist model is better, why not adopt it? I can give an answer to that last one. 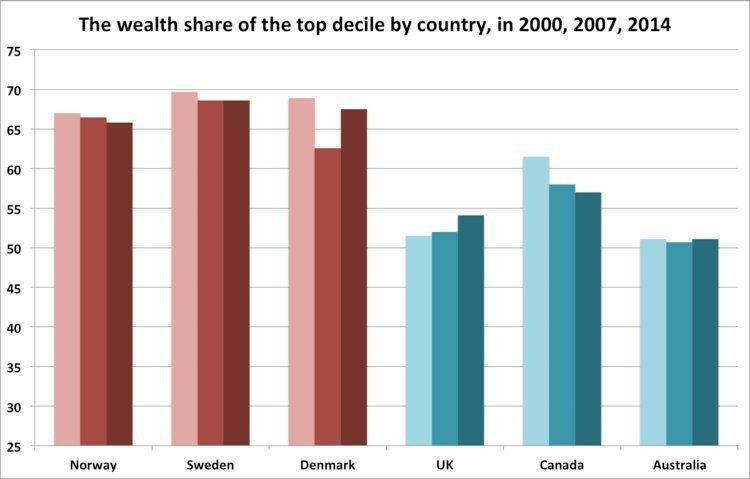 Wealth inequality is dangerously high in many socialist countries. Socialism prevents wealth mobility – the rich stay rich and the poor stay poor. But I don’t want to get into quibbles. I want to get to a bigger question. Isn’t the EU less bad than the new new Labour? Or is it a rerun of old Labour as plenty of journalists are writing about? A return to the 70s. Either Corbyn is sneaking in under the cover of Brexit. Or Labour has gone walkabout in the desert of deserted ideologies. The real problem is, I’m not sure which. And that’s extraordinary.